The best performances on the field never actually start when a team steps on to the field. They start long before that moment. They start the instant that a team decides who it wants to become. For this year’s historic Varsity Girls Soccer team, that moment came two years ago. The team was having a team meeting. They sat in a room strung with posters. 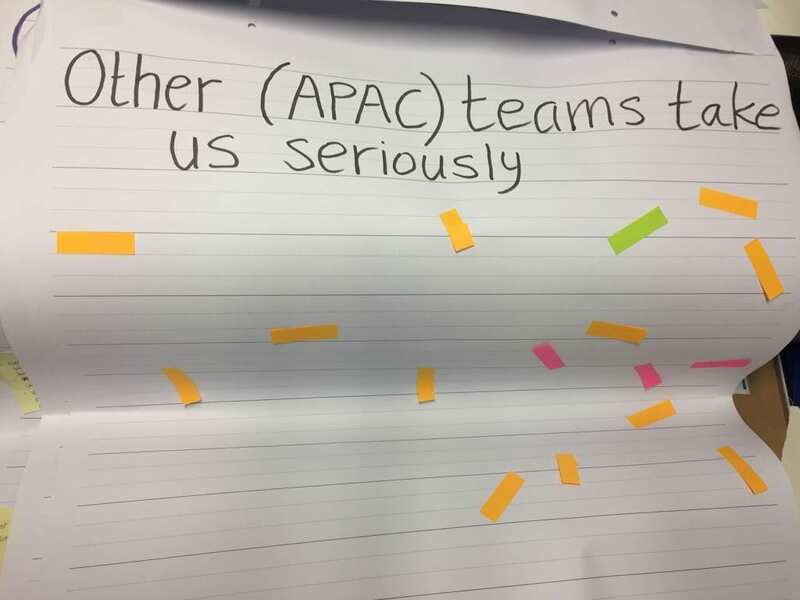 Each poster had statements written on them such as, “We can compete for a championship” and “Other APAC teams take us seriously.” On each paper the players placed different colored sticky notes depending on how much they agreed with the statement. Red was for “disagree,” yellow was for “kind of disagree” and green was for “definitely agree.” The posters were full of yellow and red stickers. Just two years earlier the team had finished playing in an APAC tournament where they not only didn’t win a game but they didn’t score a single goal. Other teams didn’t take UNIS Hanoi seriously. Why would they? UNIS Hanoi themselves didn’t think they could compete at APAC. But in that moment, in that meeting the girls looked around the room and decided they wanted to change all that. They no longer wanted to play in scoreless APAC tournaments where no one feared them. They wanted to compete. So they began the long hard process of reaching their goals. 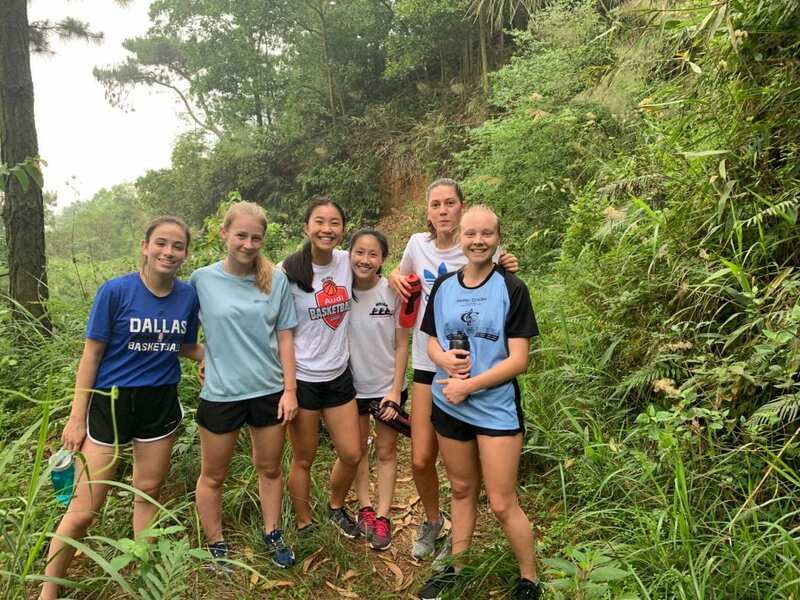 The girls committed to training all off season, improving their skills, mentoring younger players, watching game film, eating healthy and staying fit. During the season they continued their hard work and dedication giving up Saturdays for runs in Soc Son, evenings to study game tape, afternoons and spring break for extra practices. 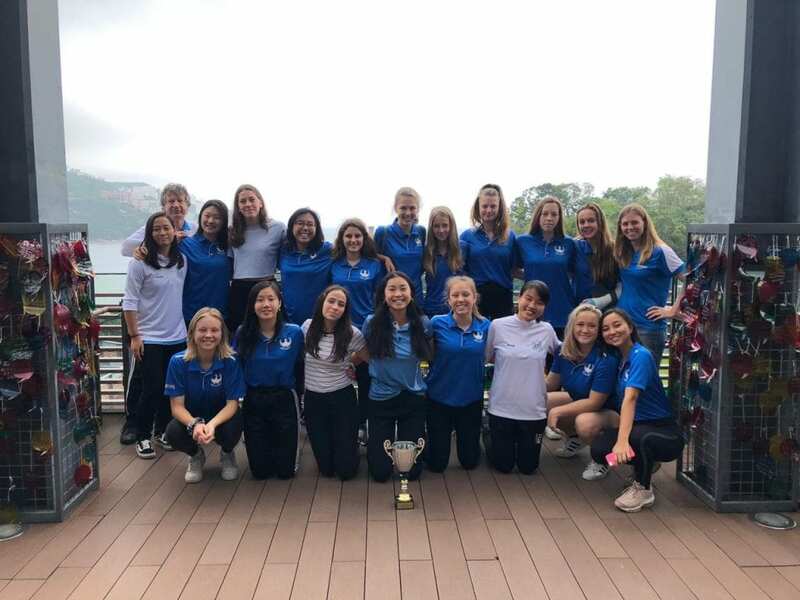 By April 11, when the girls arrived in Hong Kong for the APAC tournament, they were ready. 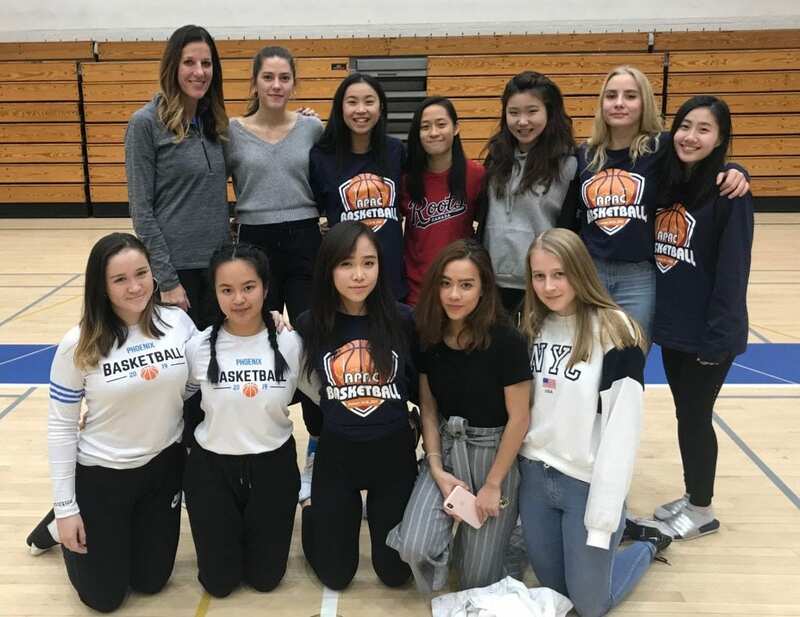 The first game was against Seoul Foreign School. UNIS Hanoi got off to a good start by playing to their strengths. They played possession style football looking for triangles and passing opportunities from the defense through the midfield. Then maintaining possession by putting relentless high pressure on the opposing defense to create scoring opportunities. UNIS Hanoi scored their first and second goals on such pressure. The first was off a cross from Natalie that Josefine raced to and struck into the goal. The second was after the strikers pressured a defender into desperately trying to clear the ball only to find Uyen racing in to head the ball into the back of the net. 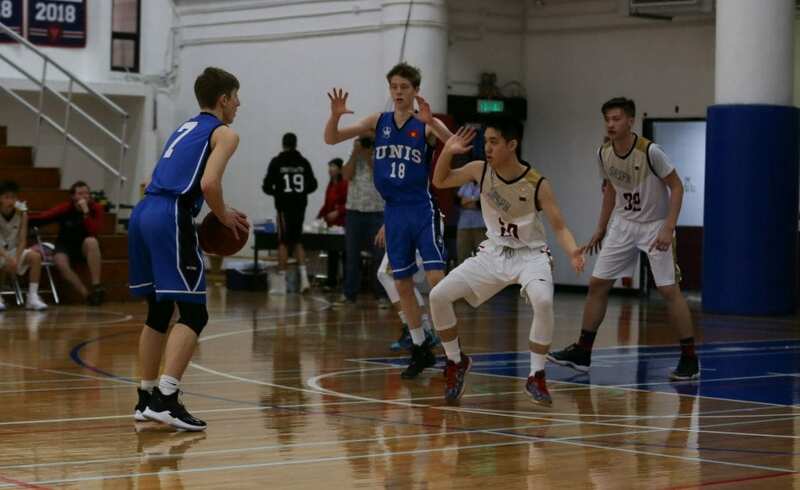 The second game of the day against Hong Kong International School proved a difficult one for UNIS Hanoi. Just before halftime, starting center back Phoebe broke her arm and Phuong the other starting center back injured her ankle. Without the heart of it’s defense UNIS Hanoi quickly found themselves down 3-0. 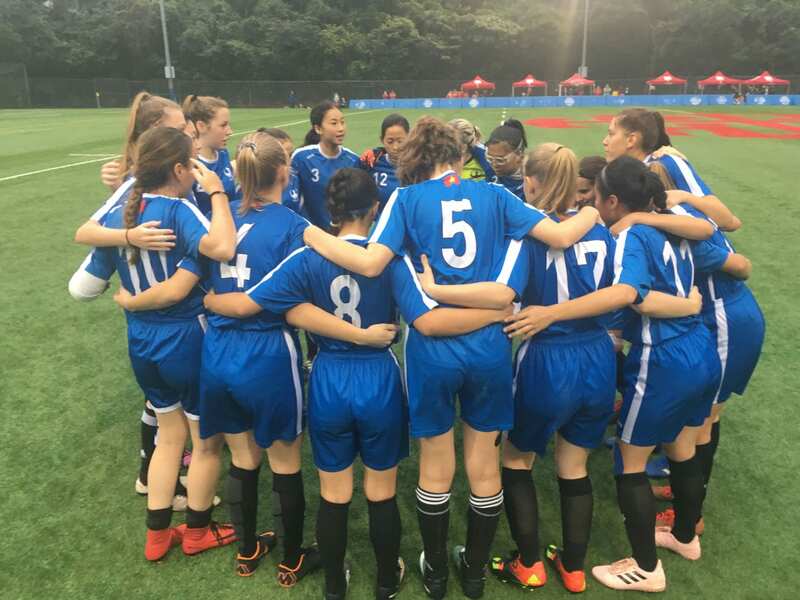 But through pure team play and determination, they came back to score two goals one by Natalie and the other by a combined play from Irma and Ines. The game ended 3-2. 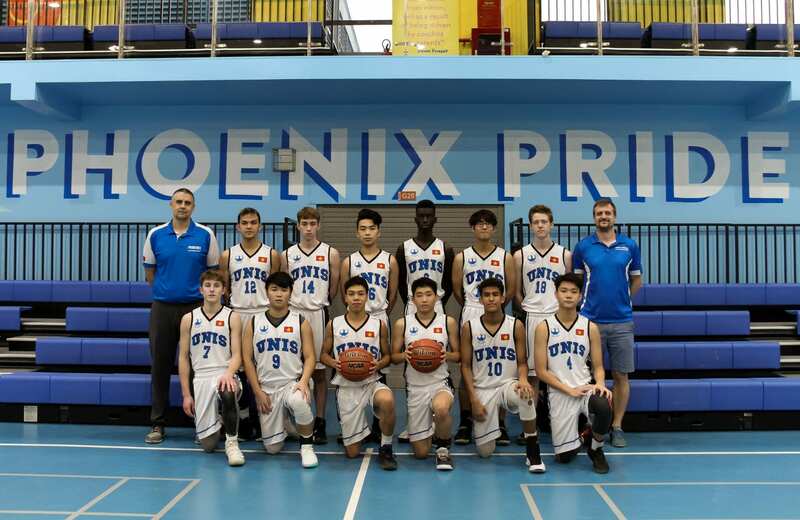 The next day UNIS Hanoi needed a win against Canadian Academy and Shanghai American School if they wanted to keep their chances of going to the championship alive. It wouldn’t be easy without their two starting center backs. Co May and Sian stepped up and took over as center backs for the day and they played magnificently. 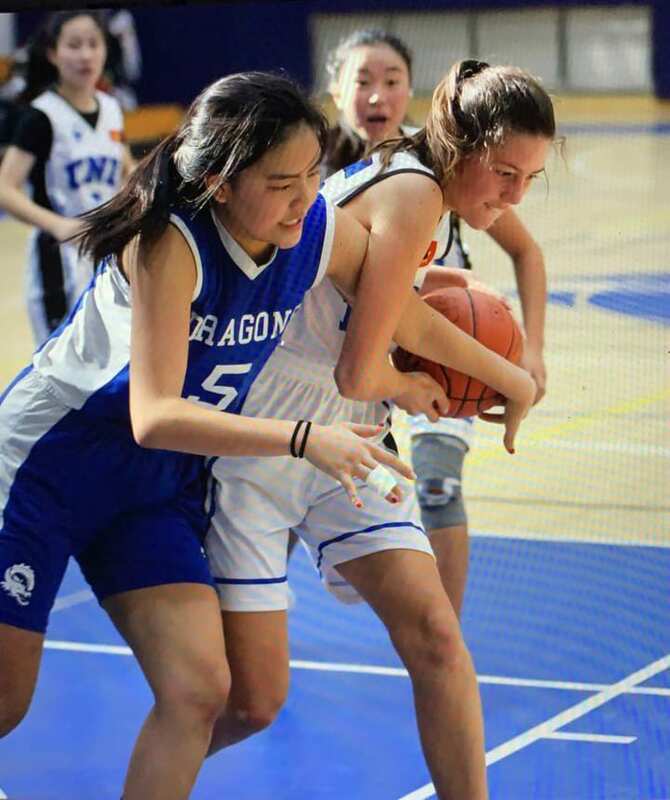 Through brilliant team defense, UNIS Hanoi held both teams scoreless and got two 1-0 wins off of scores from So Eun and Uyen. On the final day of competition UNIS Hanoi found themselves in a position to make the final if they could get either a tie or a win in their game against Western Academy of Beijing (WAB). Phuong was now healthy enough to play. UNIS Hanoi was warned by other teams that they might get muscled off the ball. But UNIS Hanoi would have none of that. 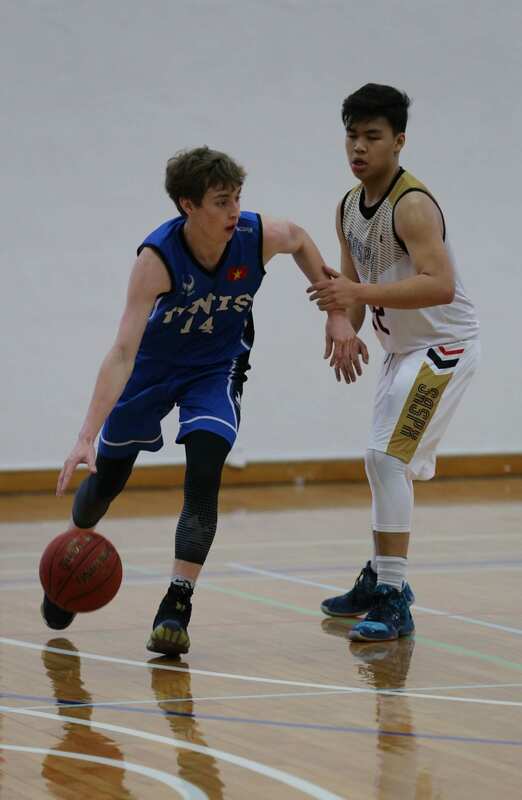 They matched the physical toughness and speed of WAB by playing tough and fast on their own. The game got off to a scary start when WAB scored an early goal and went up 1-0. But UNIS Hanoi didn’t stop believing in themselves and just before the half, Irma found the ball on the edge of the box and shot it past the goalkeeper to tie the game at 1-1. UNIS Hanoi held strong for the next 35 minutes and pulled out the tie that they needed to guarantee their spot in the championship game. As the final whistle blew the players swarmed the field hugging each other in recognition of what they had just accomplished. 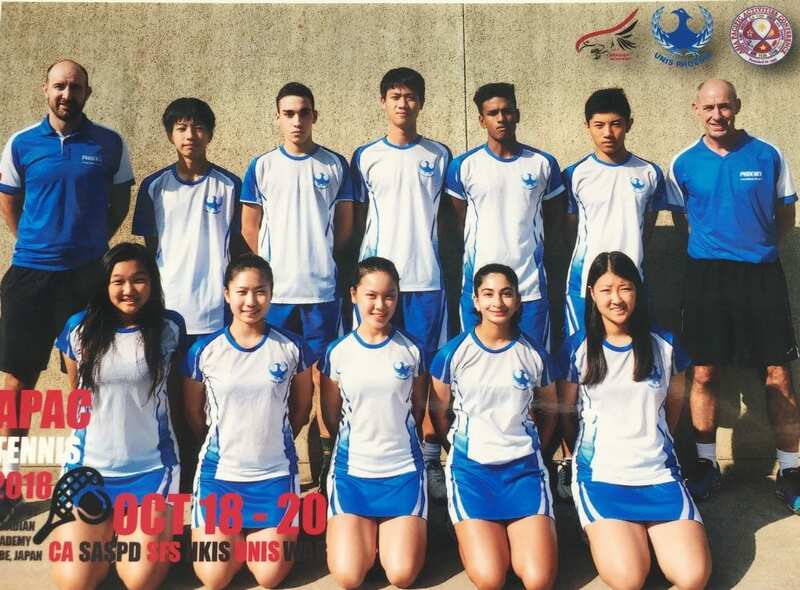 They had just become the first ever women’s team of any sport at UNIS Hanoi to make an APAC championship game. The final pittited UNIS vs. the host school HKIS, who most teams had said was unbeatable. But if there was one team at the tournament not afraid of HKIS, it was UNIS Hanoi. That was because UNIS Hanoi knew just how good their own team was. The game was a hard fought, physical battle with neither team giving any balls away easily. HKIS scored off an impressive shot before halftime to go up 1-0. UNIS Hanoi played strong and physical and had their chances but ultimately was not able to score an equalizer. They lost 1-0. In the end the UNIS Hanoi girls did not win the championship but they accomplished the goals that they set out for themselves that day two years ago. They became the team that everyone took seriously and the team proved to themselves just how much they are capable of. Amazing job girls. You are legends. 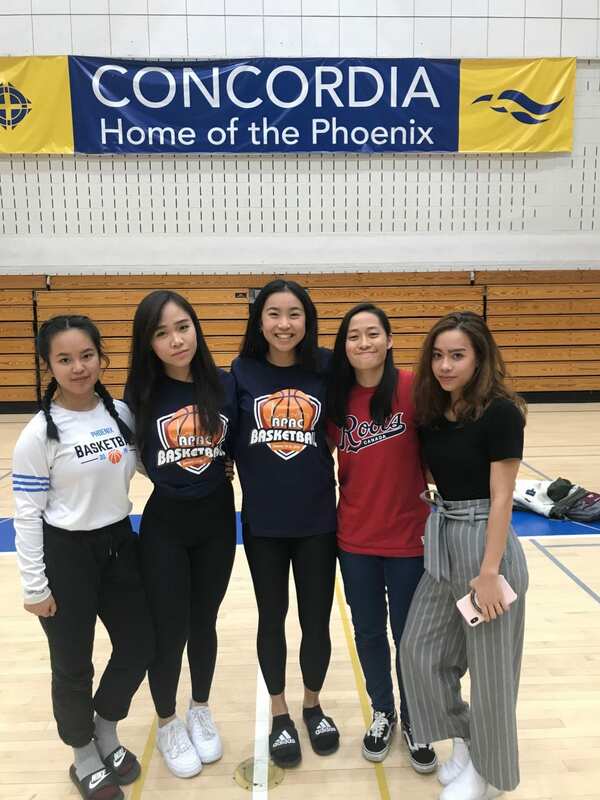 A special congratulations to the seniors: Phoebe, Ines Vi, Irma, Phuong, Uyen and Thanh. What a legacy you have created. With no exaggeration, I would be willing to say that this was the best APAC experience I’ve ever had. Referring to the fact that it was the first time we had such a large travelling group, the APAC festival was beyond what anyone could’ve expected. Being surrounded by high school students who had the same interests and was serious when approaching music, being taught by school teachers who have expertise for specific instruments, and being conducted by an amazing conductor, it provided everyone an unforgettable experience. Playing songs from either a Japanese composer or from a Japanese theme allowed me to sink into the Japanese culture. However, also, playing a variation of a Korean folk song was very meaningful as it was a variation from my own nation. On the first day, everyone started introducing themselves to their stand peers by what their names were and how many years they have played their instrument for. The special thing about this APAC event was that everyone was friendly and talented. By lunch, everyone had become friends and knew what they were doing. It felt amazing to be around high school musicians, who came from different parts of the world, who would come together and play the same song we all had practiced in our individual schools. At the end of the day, everyone was exhausted from all the playing, that once we got to our homestays, we directly fell asleep. On the second day, everyone started to have sore and fatigued lips and was physically tired. To this, the conductor was very considerate and allowed us to take longer and more frequent breaks. Those breaks were meaningfully spent with some people having the chance to rest their mouths from all the playing, whilst some people used the time to either practice challenging parts in their music or match up their duet. After the practice, we had a group trip to Dotonbori. Through a 1 hour bus trip, all the APAC students were given the opportunity to walk around and enjoy themselves for 2 hours. During this time, everyone took numerous photos with the “Running man”, ate a lot of Japanese street food, and had a chance to shop. Everyone were carrying large bags filled with presents for their friends and family along with foods to enjoy once they went back to their home countries. 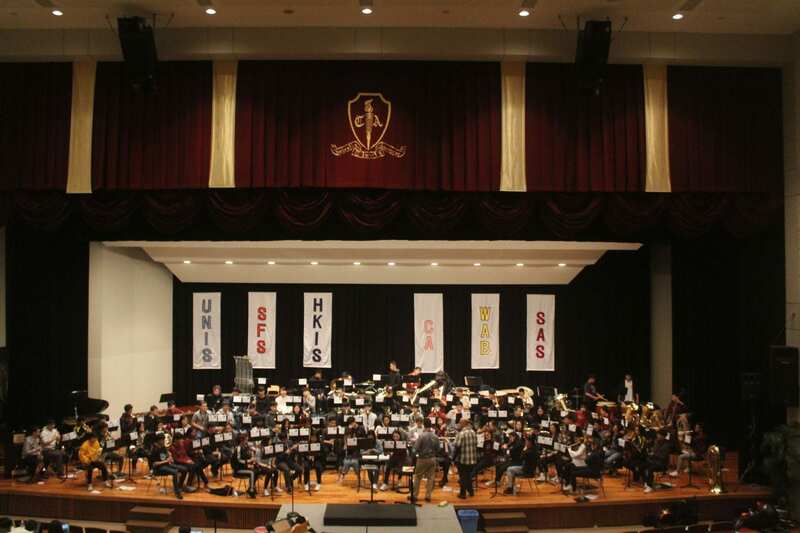 No one couldn’t believe that it was already the third day and our very final day of APAC Band. Our day was filled with practices making last minute changes to our playing till perfection. Then, finally, the time for our final performance came. The lights went on, there was a large audience, and everyone was sitting in their seats with their instruments wearing each of their unique school concert dresses. All the hard work paid off during our last performance. Challenging parts of the piece were played with perfection, and everyone was able to just enjoy the time playing together as one. Once the concert was over, no one wanted to leave the auditorium. It was filled with hugs, people taking pictures, and especially students exchanging social media accounts! Everyone was talking about how they wanted the APAC Band event to be extended just a few more weeks and expressed how they wanted to stay longer. It was fascinating on how a single event could make strong bonds between people. It was amazing how music allowed me to become friends with people I’ve never met, or become closer friends with people I’ve met in past APAC Band experiences or other events. Through this experience, I was able to realize how meaningful these experiences can be. Individually, I feel like this opportunity was more special as I was given the opportunity to play the solo for “Loch Lomond”. Playing as a solo within a large group was frightening but the sense of achievement that came afterwards was immense. 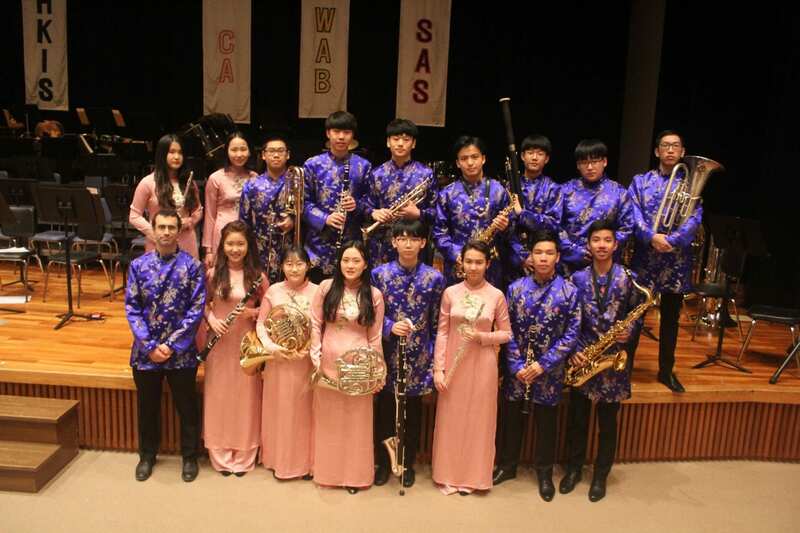 The APAC event not only taught me how to play music with numerous people as one whole large group, but more importantly, it allowed me to realize how music could act as a bridge in creating strong bonds with people you have never met before. I am really looking forward for APAC Band next year, as much as it will be a “Super APAC” where all 12 schools will be attending. I can’t imagine the sound that will be created with all those musicians around me playing one song together as one. I want to give a special thank you to Mr. DallaGrana for giving his time and effort in guiding us towards the APAC event. I also congratulate my fellow peers, especially if this is your first APAC, but mostly to the seniors! I will miss you all very much and I’m not sure if we’ll be able to fill in your shoes. Thank you all for making this such an unforgettable experience. 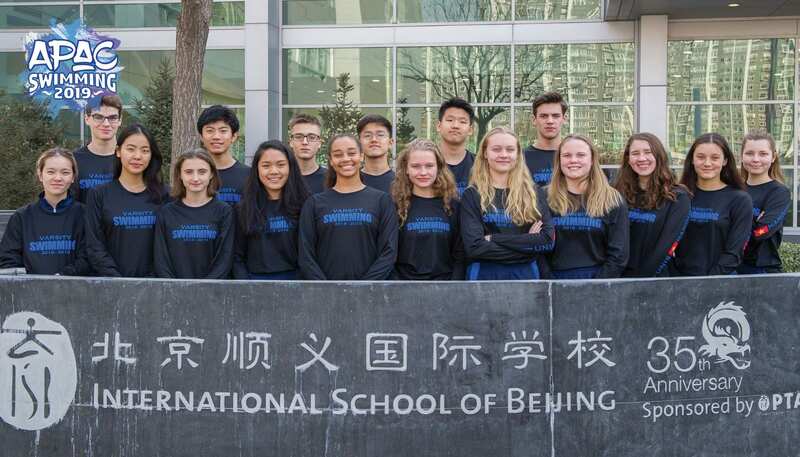 Last weekend the UNIS Varsity Swim Team traveled to International School of Beijing for the Super APAC Championship Meet. In an extremely successful weekend, both the UNIS Boys and Girls teams placed 7th for the highest finishes ever. The meet started out brilliantly as our first two swimmers, 9th graders Hotchy and Alexandra, achieved their best times ever in the girls 200 freestyle. The 200 freestyle boys also saw lifetime best times from Honza and another Grade 9 swimmer Dylan. The first event set the tone for the rest of the competition. Over the three day competition UNIS Hanoi swimmers set 10 team records and achieved over 30 lifetime best times. UNIS Hanoi broke 8 individual team records and two relay records. Jacob set new team records in all his events, the 50m butterfly, 50m breaststroke, 50m freestyle and the 100m freestyle. Gai set new records in the 50m and 100m backstroke. For the girls, Flora set new team records for the 50m backstroke and 50m butterfly. The girls 200 medley relay with Flora, Sonya, Ezell and Mina broke their own record from last year with a gigantic 5 second improvement. The boys relay team, Gai, Matthew, Honza and Jacob broke the 200 freestyle relay record by .04 seconds in the final event of the competition. What a great way to end an exciting swim meet! The full APAC Girls Varsity Team included in addition to those already mentioned, Grade 12: Annika, Marcelle, Jeyne, Grade 10 Linh Trang, and Gaby. Jeongha also represented the APAC Boys Varsity Team with some very strong swims. At first we were all dismayed to find our return flight was scheduled for very late in the day on Sunday. To our surprise and excitement, ISB had arranged a trip to The Great Wall for our team. The event ended with a super enjoyable day. During APAC, our team was very cohesive, with swimmers continually cheering each other on and offering plenty of high fives and hugs for team members. Congratulations to all APAC Varsity Swimmers on a fantastic performance! On November 15-17 UNIS Hanoi will be hosting the 2018 APAC Choir Festival. 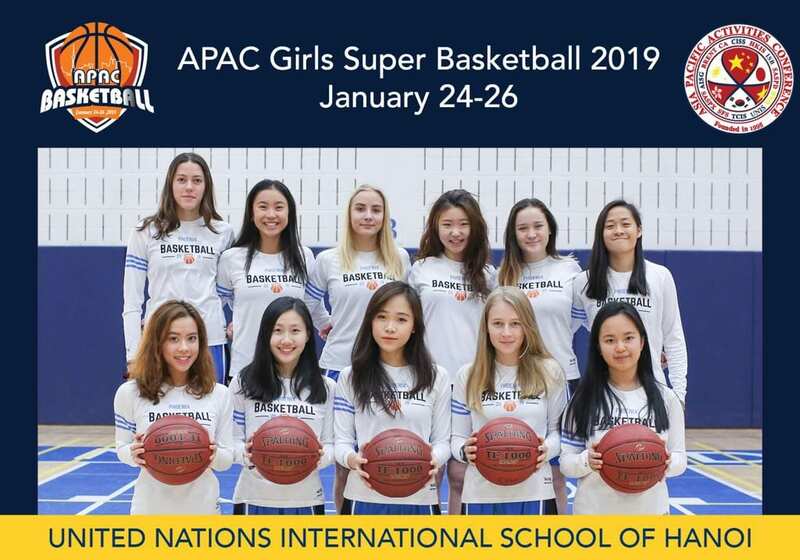 Our community will be welcoming students and directors from Canadian Academy (CA), Seoul Foreign School (SFS), Shanghai American School (SAS-PD), Hong Kong International School (HKIS), and Western Academy Beijing (WAB) to join our UNIS Hanoi performers in this wonderful event. The goal of this festival is to nurture students’ talents, skills and self-confidence as well as develop their interest and appreciation of the arts. The festival will encourage social interaction as students work collaboratively to prepare a culminating performance. Special guest director Patrick Romano will lead the festival to enhance the learning experience. These types of events offer an outstanding opportunity to bring our community together in support of the arts. The culminating event of the festival will be a concert on Saturday, November 17 at 18:45. in the UNIS Hanoi Centre for the Arts. Tickets for the final event are free of charge and will be available from the Co-Curricular Activities Office (B8B-102) on a first come first served basis starting Monday, November 12. Join us for a high caliber concert you will not soon forget.